DirecTV customers will be loosing out on 17 of Viacomm’s channels including: BET, Comedy Central, MTV, Nickelodeon, Spike and VH1. With negotiations stalling out as of Tuesday evening, DirecTV customers can no longer view 17 of Viacomm’s Channels; including: BET, Comedy Central, MTV, Nickelodeon, Spike, and VH1. Viacomm was asking for DirecTV to pay additional fees per subscriber to have access to their content; but, DirecTV did not give in. Ultimately, the likes of SpoungeBob, Snooki, Colbert, Jon Stewart, the boys of South Park, and Dora (the Explora) will likely win. 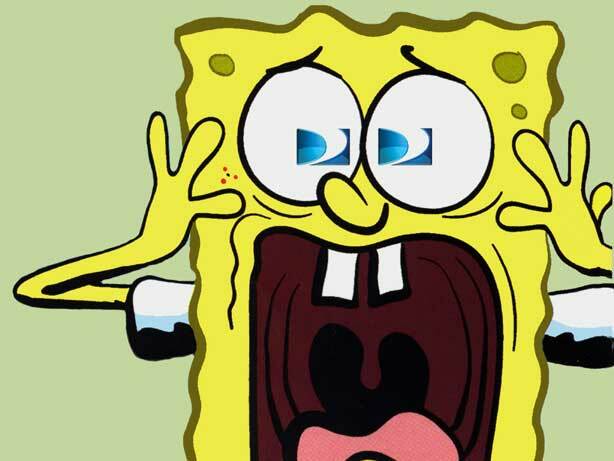 Dora and Spoungebob could not be reached for comment, but this image was captured late last night after Spoungebob heard the news – children everywhere are horrified.